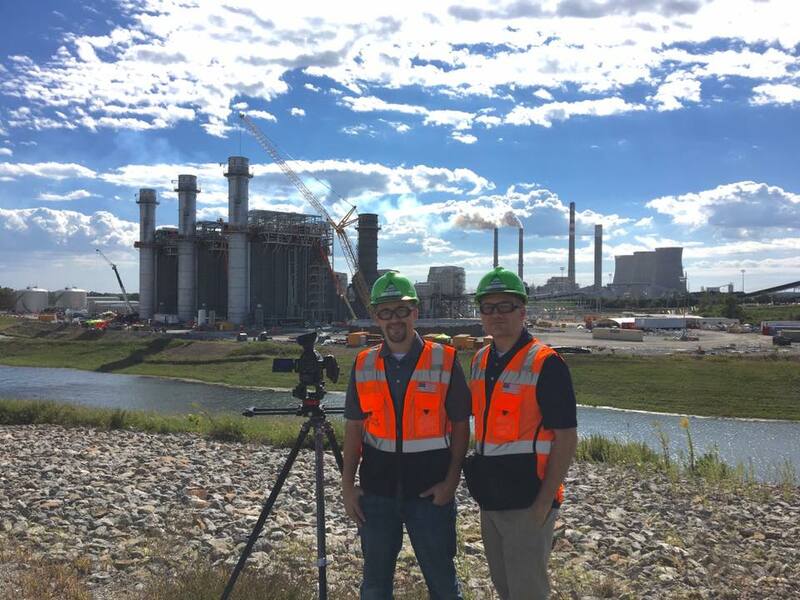 Kiewit contacted Sublime Media Group about a project involving their new Combined Cycle Plant being built at TVA Paradise in Kentucky. Kiewit was interested in Sublime Media Group’s corporate video services. The Sublime Media Group creative services team was very intrigued by this interesting project. Kiewit is one of North America’s largest and most respected construction and engineering organizations. The employee-owned company operates through a network of offices and projects in the United States, Canada and Australia. Nearly all construction projects are staffed by one or more owners of our company. As part of its commitment to expand fuel diversity, Tennessee Valley Authority replaced its two oldest coal-fired units at the Paradise Fossil Plant with a natural gas plant. The new facility is a 3x1 combined cycle plant with a 1,200-megawatt generation capacity. The Kiewit team was awarded the contract to engineer, procure and construct the project located two hours North of Nashville in Muhlenburg County, KY. The project utilized three GE 7FA.05 combustion turbines provided by TVA and a Toshiba steam turbine. The project included Vogt HRSGs with supplemental firing, steam surface condenser, and mechanical draft cooling tower. Our team spent a full day on site learning about the project, filming interviews, getting drone shots and shooting B-ROLL for the video. Safety was a major focus for this shoot being on an active construction site. Our videographers were required to wear safety gear just like the Kiewit employees working on the new plant. This project was a quick turnaround for our creative team. Kiewit had a strict deadline that they made us aware of when they first contacted us. The project was edited quickly and efficiently, providing Kiewit with extra time for revisions and approval. All graphics were produced in After Effects CC and the video was edited in Adobe Premiere CC. All video was shot on Canon C100 Mark II cameras. Kiewit’s passion for building was inspiring. Their team was truly proud of what they had accomplished. It took two years to complete the construction. If you are looking for long or short form video for your business, look no further. We have spent five years obtaining the equipment and learning techniques to provide our clients with top quality, effective videos. If you are interested in a custom quote or would like to discuss a project call 270.681.0024 today.